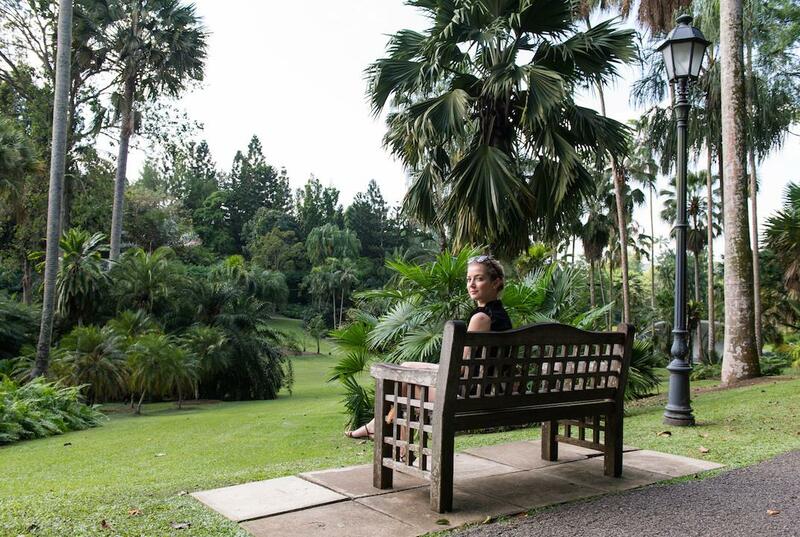 In February we treated ourselves to a little tropical holiday to escape from the cold weather and snow. 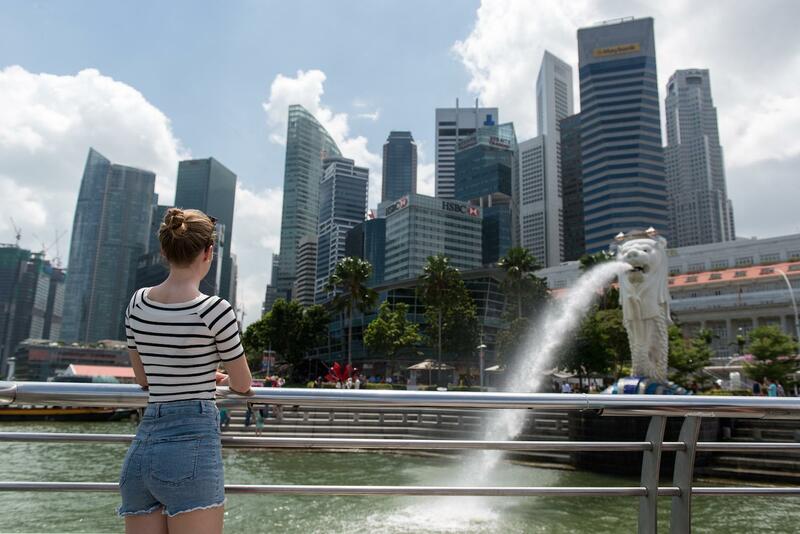 Singapore has been on my bucket list since forever, so it was a natural choice. 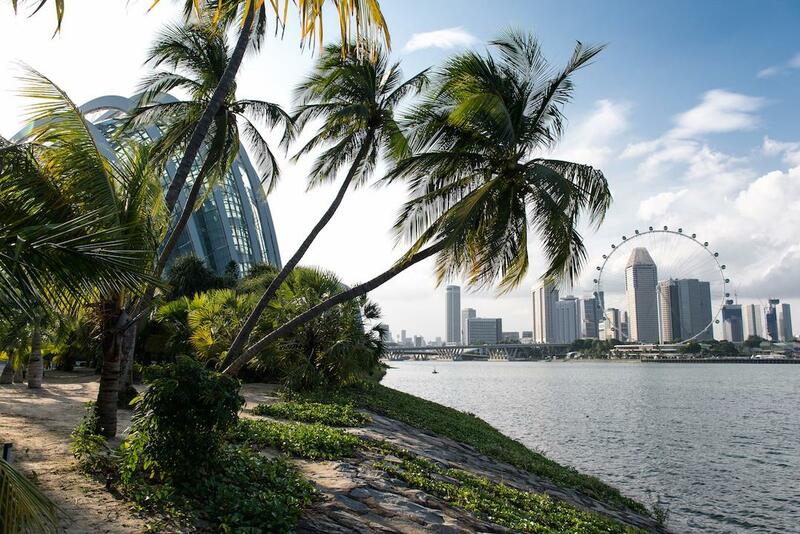 The plan for our two week holidays was to first spend three days in Singapore and than continue our journey to Malaysia. 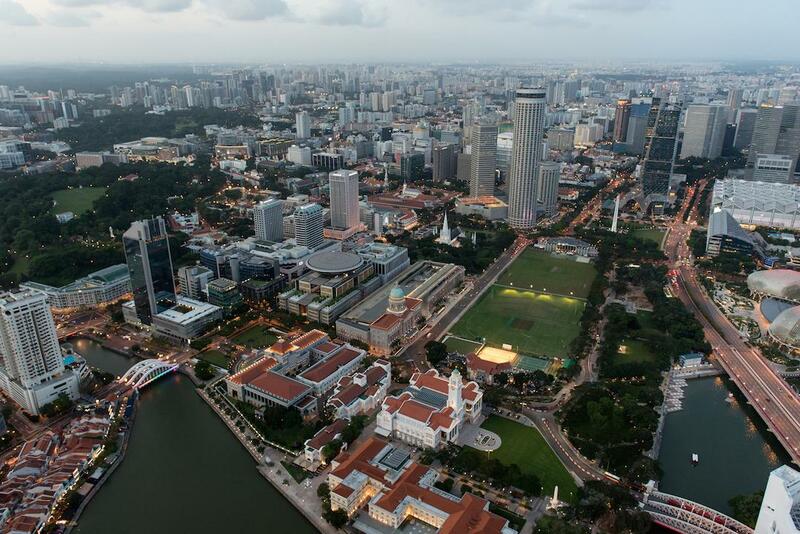 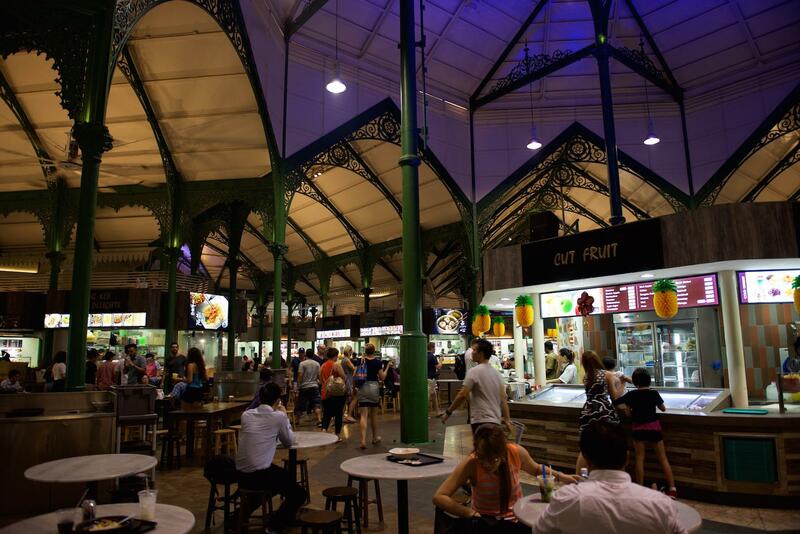 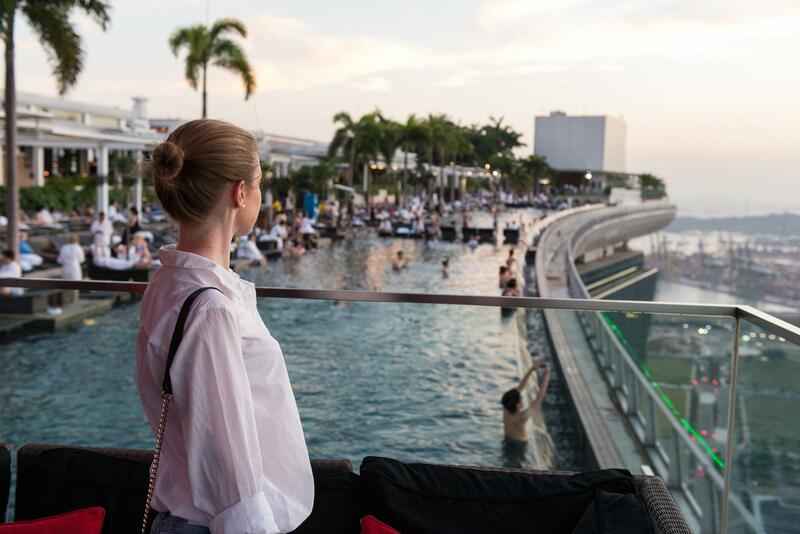 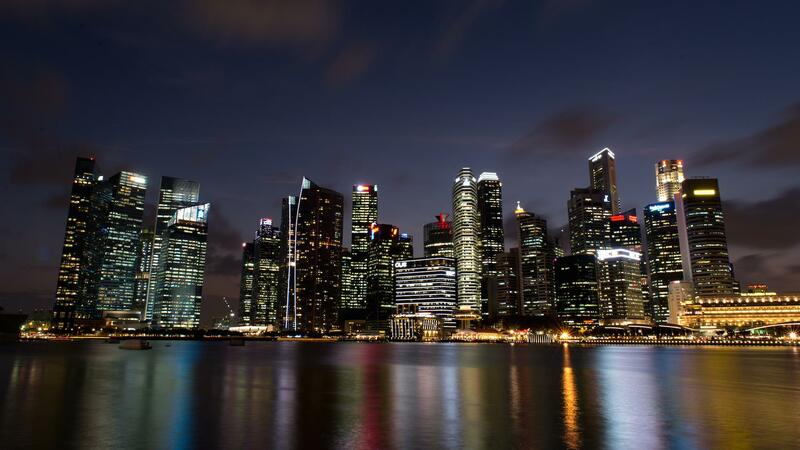 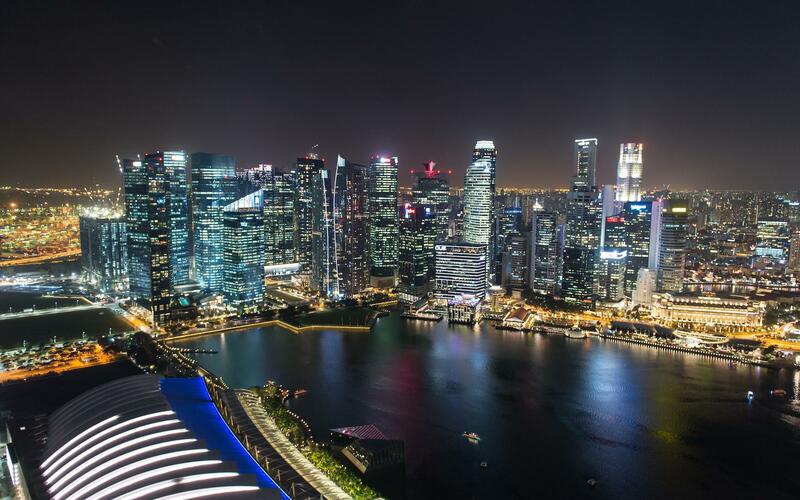 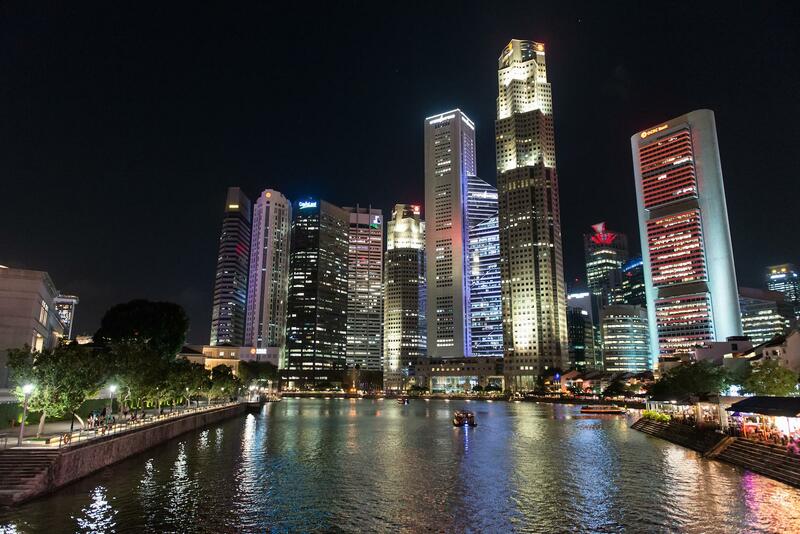 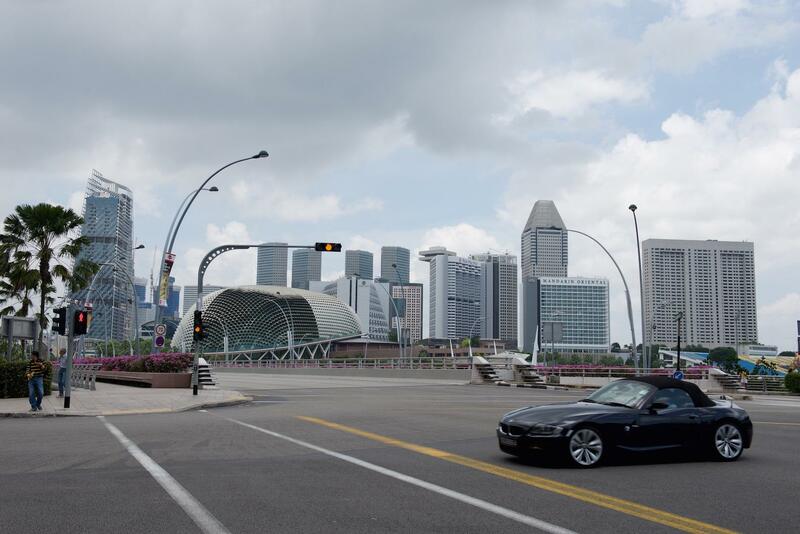 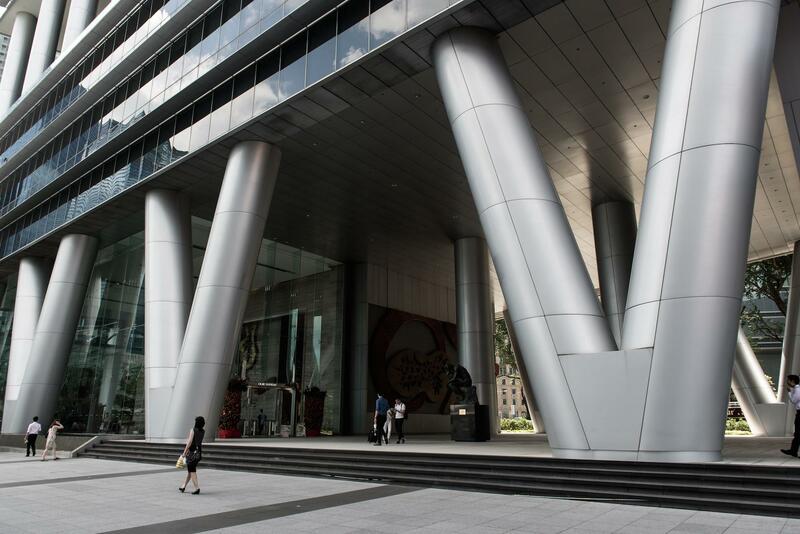 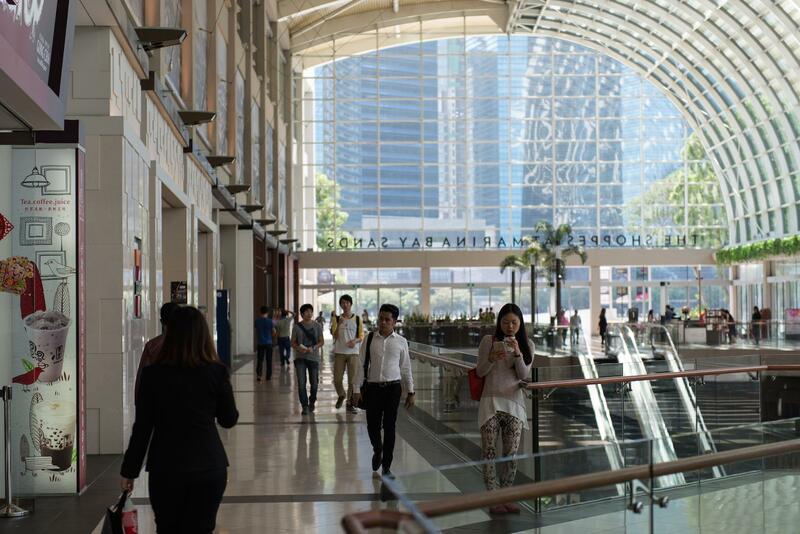 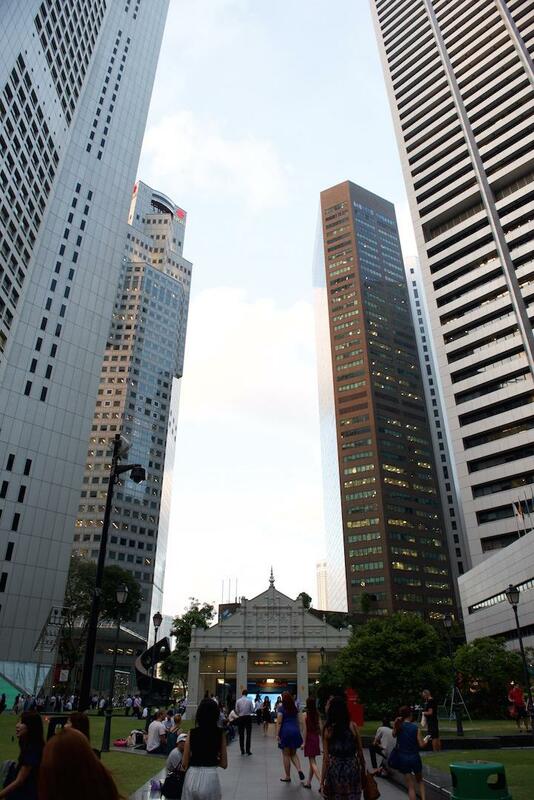 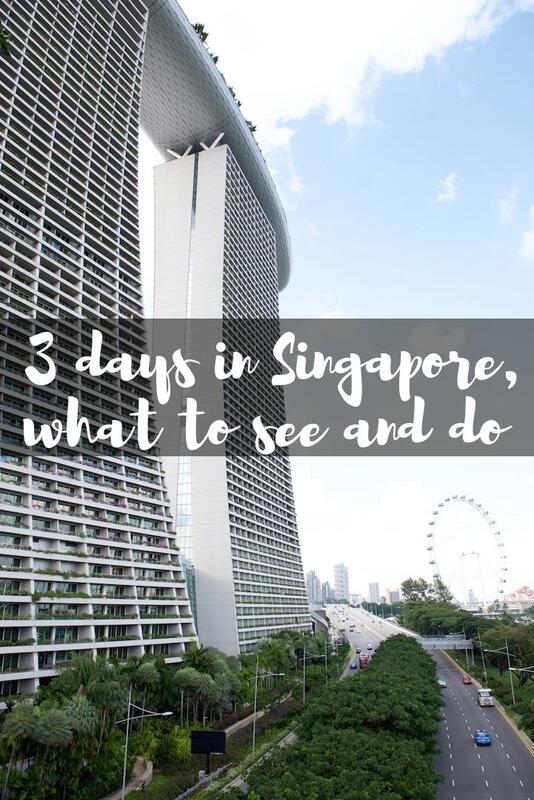 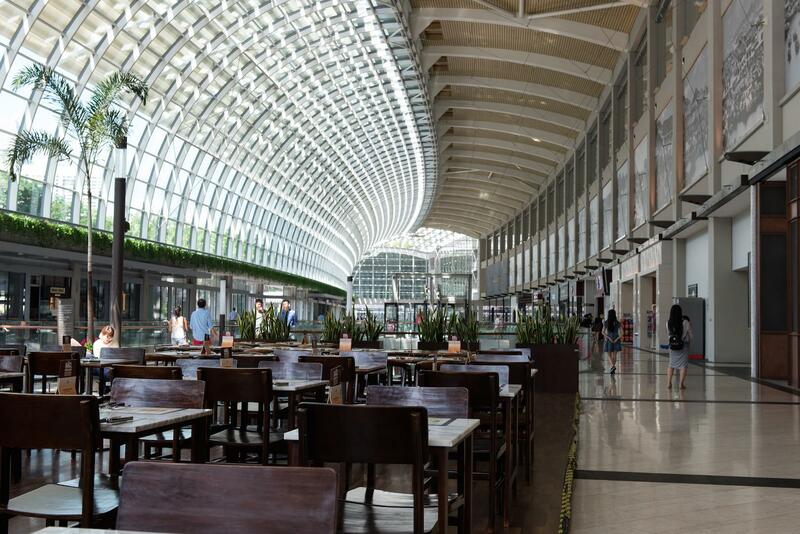 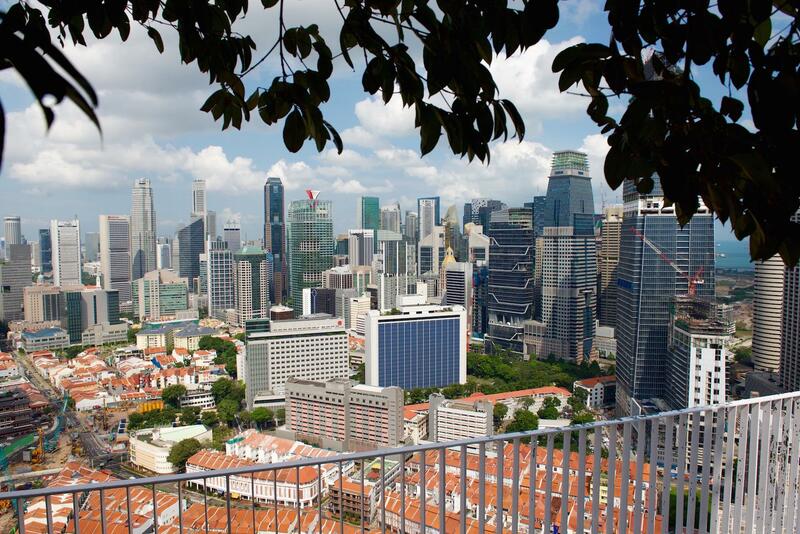 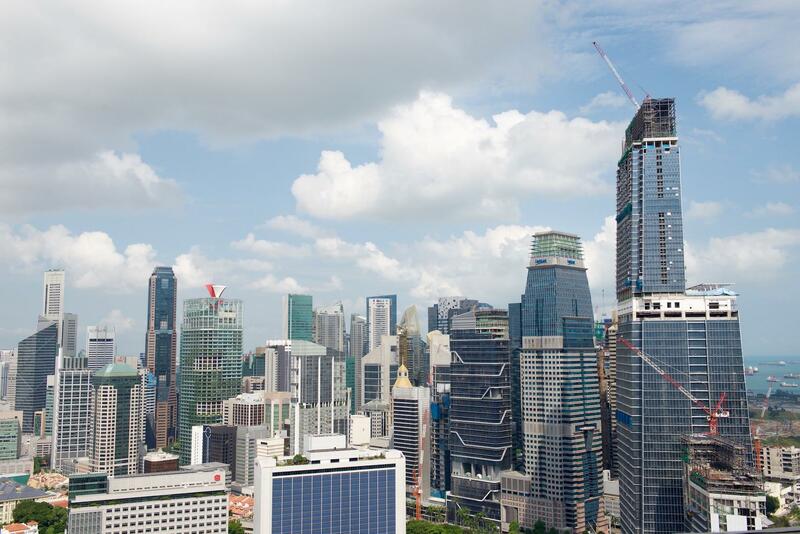 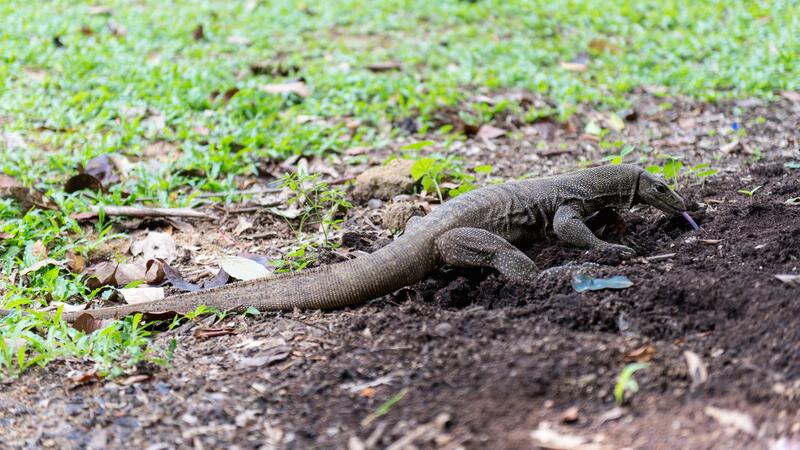 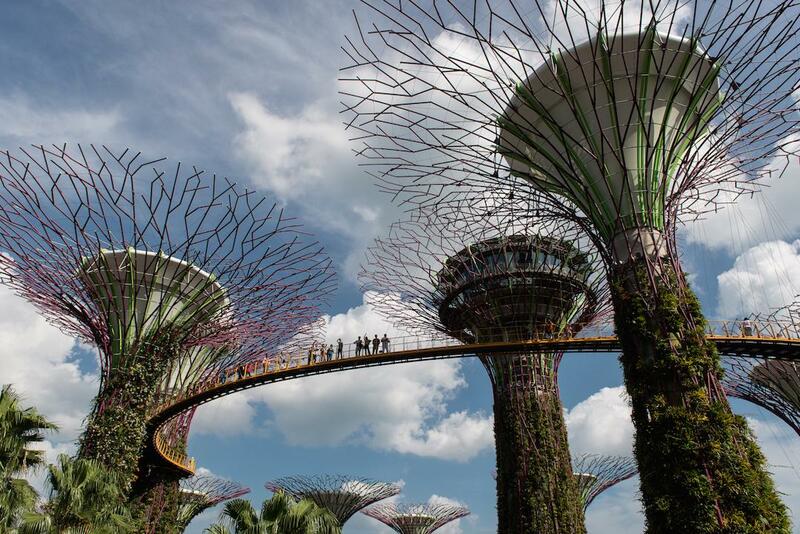 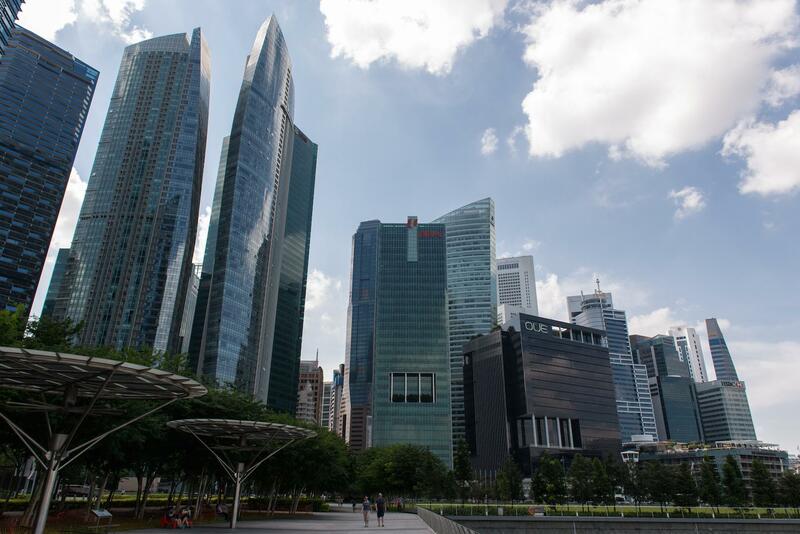 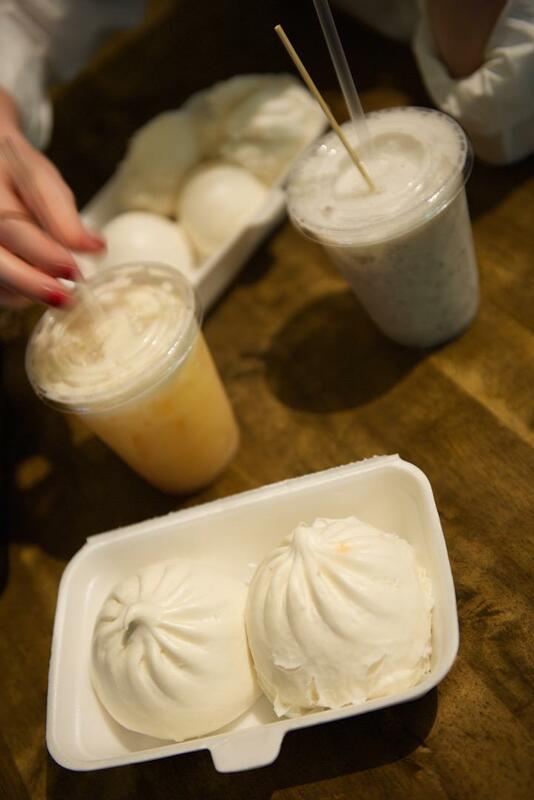 So here is a quick recap of what to see and do in Singapore in three days. 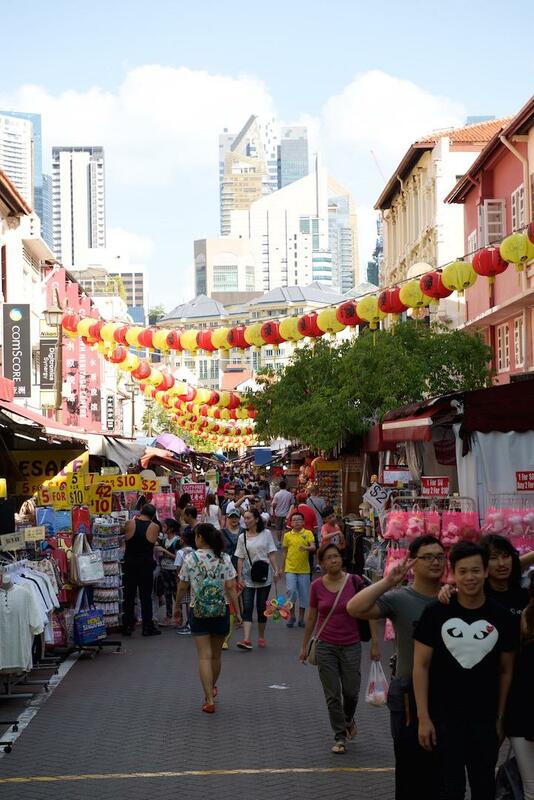 Our hotel was conveniently based in China town right next to MRT so Chinatown was the first area that we explored. 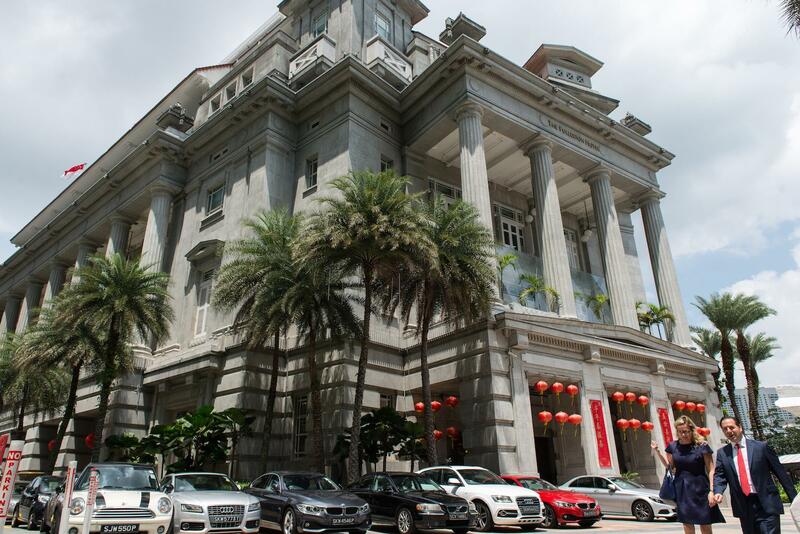 We visited Buddha Tooth Relic Centre and went the market, had a quick bite and then continued to Pinnacle at Duxton which is a complex of residential skyscrapers. 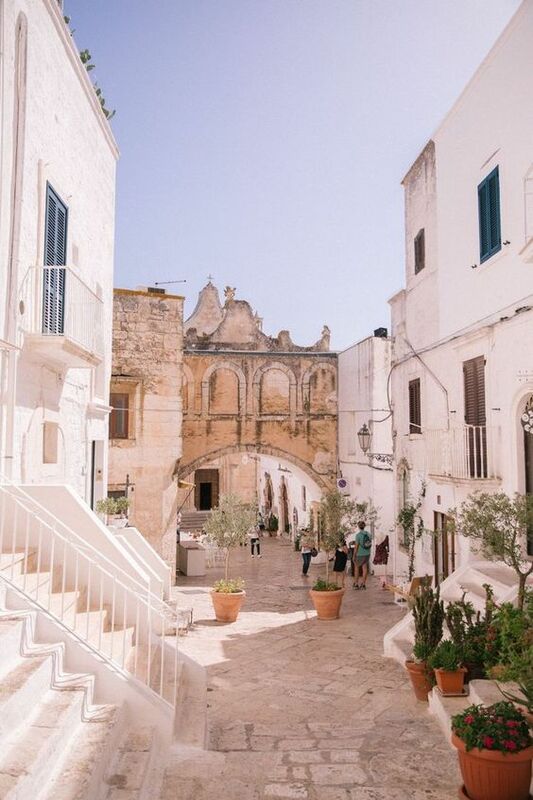 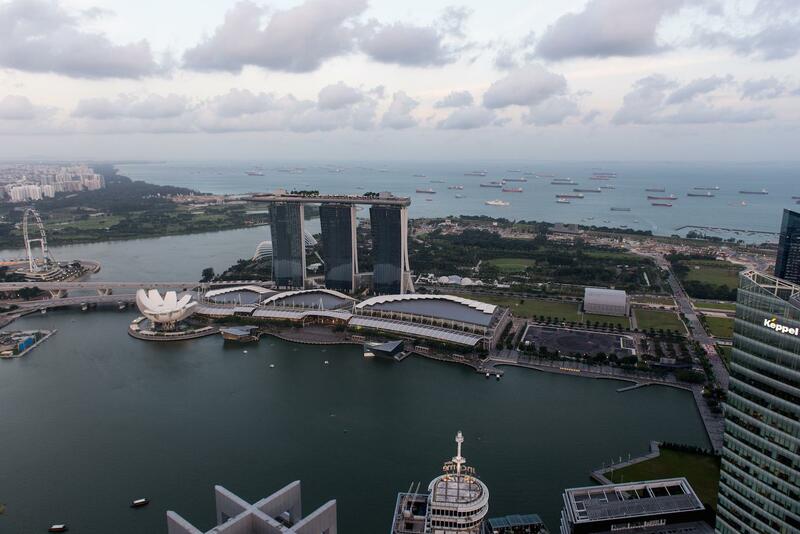 You can go all the way to the rooftop and it is perfect, since there are no tourists at all and the views are amazing. 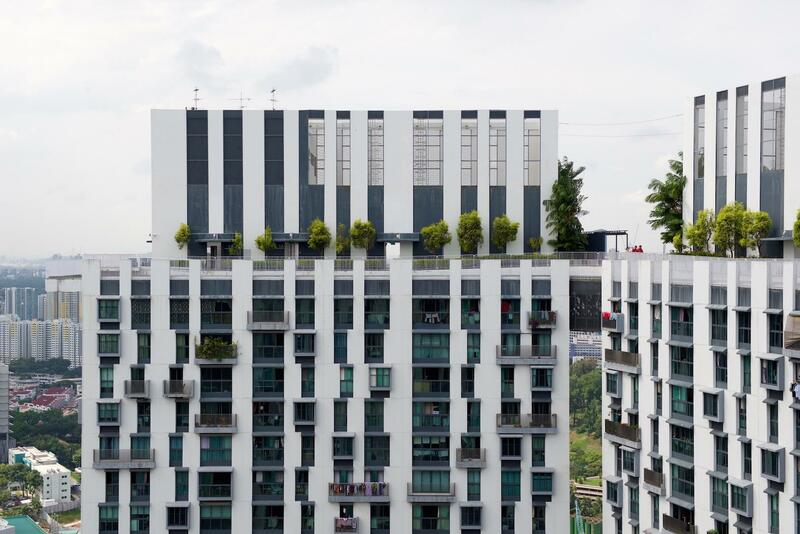 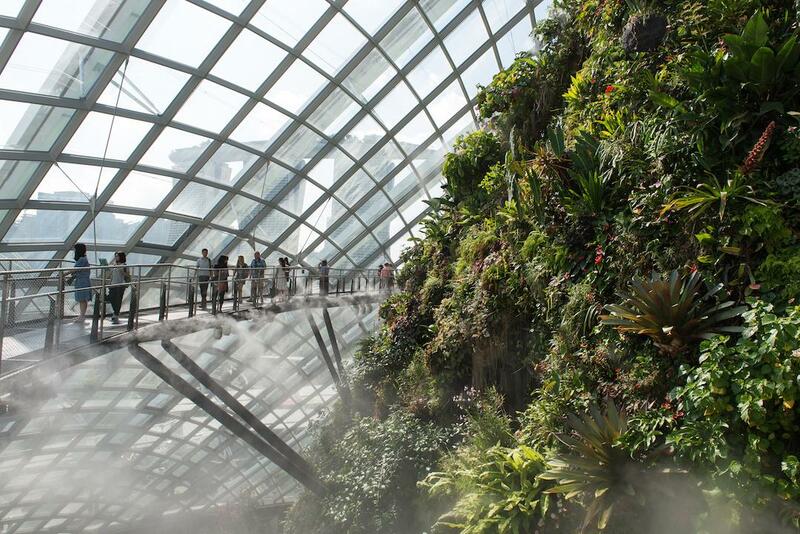 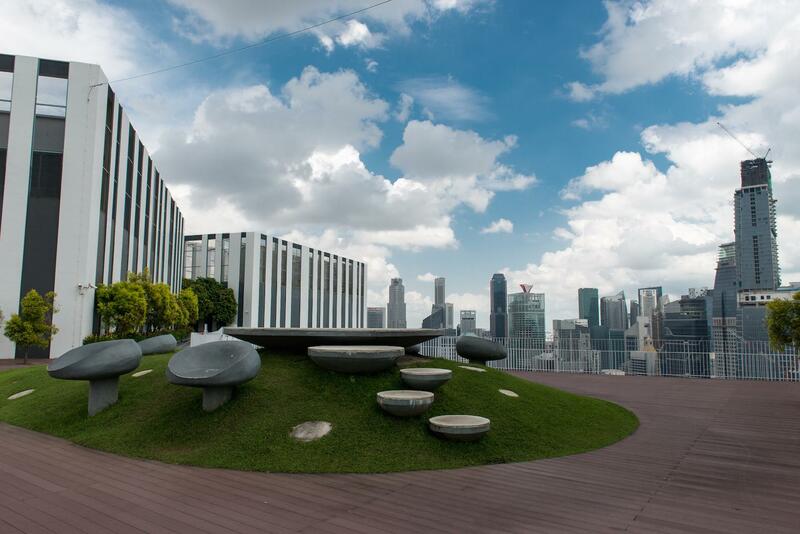 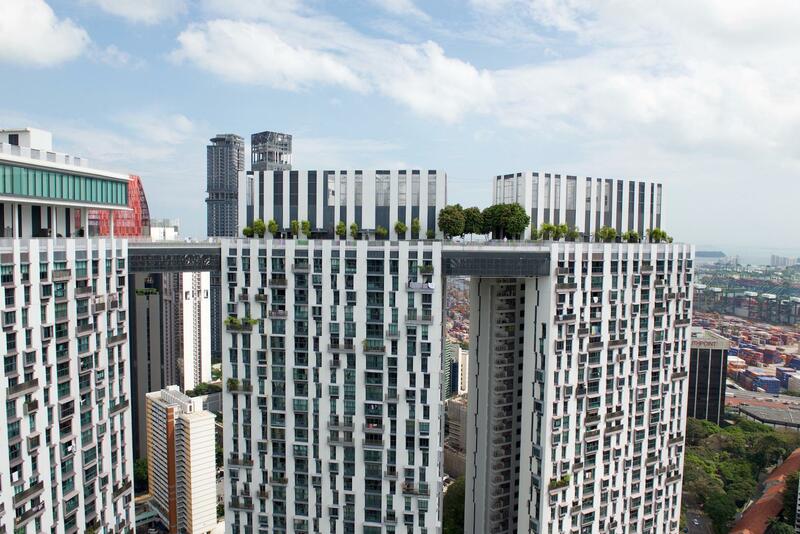 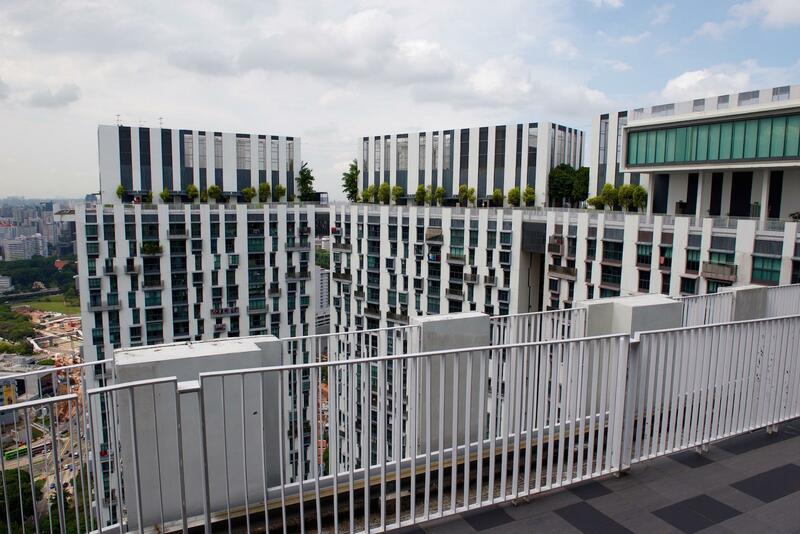 The building itself is architecturally really special and the rooftop is covered with lush greenery. 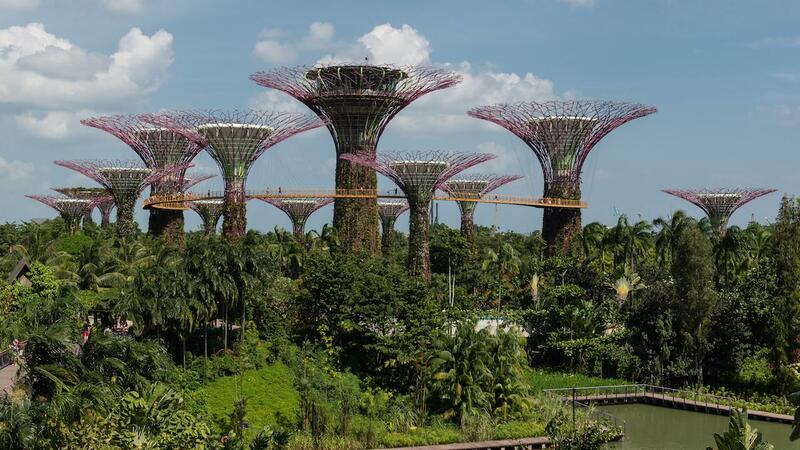 You can find this all over Singapore which is great, as plants add a special natural feeling the the otherwise concrete jungle. 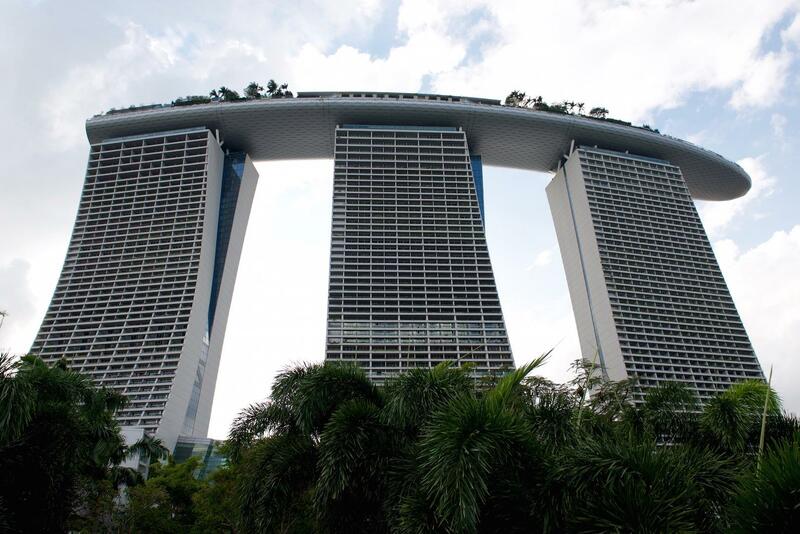 After Pinnacle at Duxton we walked to the Marina Bay Sands, to see this spectacular architectural gem. 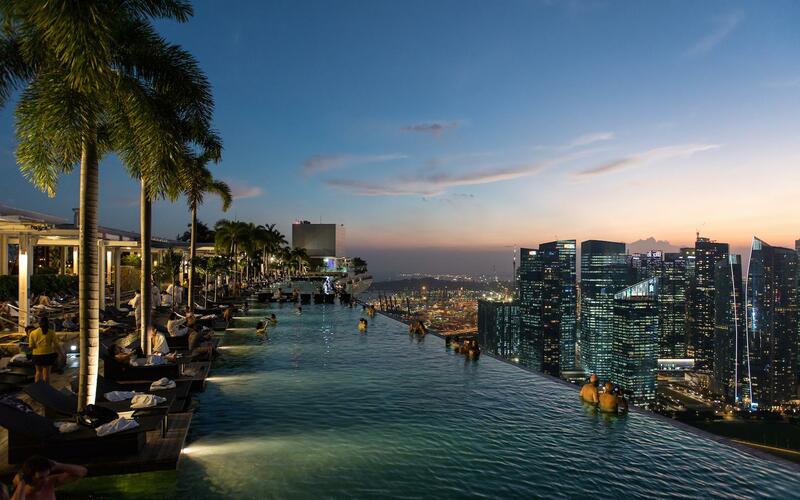 To swim in the highest infinity pool in the world has been on my bucket list for as long as I can remember, but unfortunately it’s only for the guests of the hotel and paying 300$ for one night in a hotel seemed a bit much. 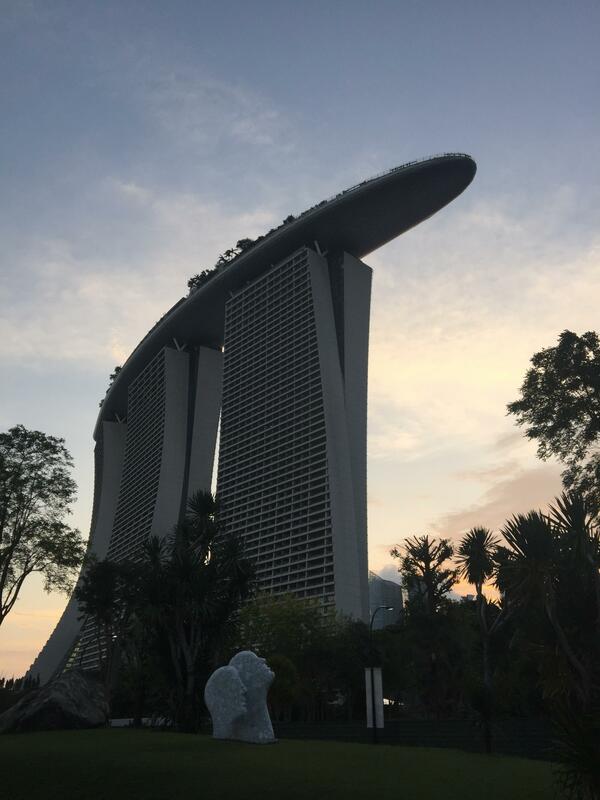 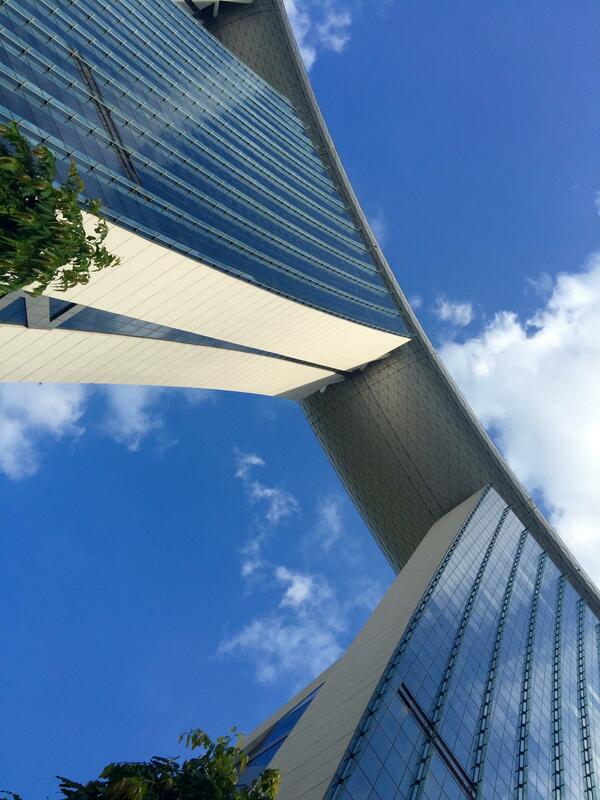 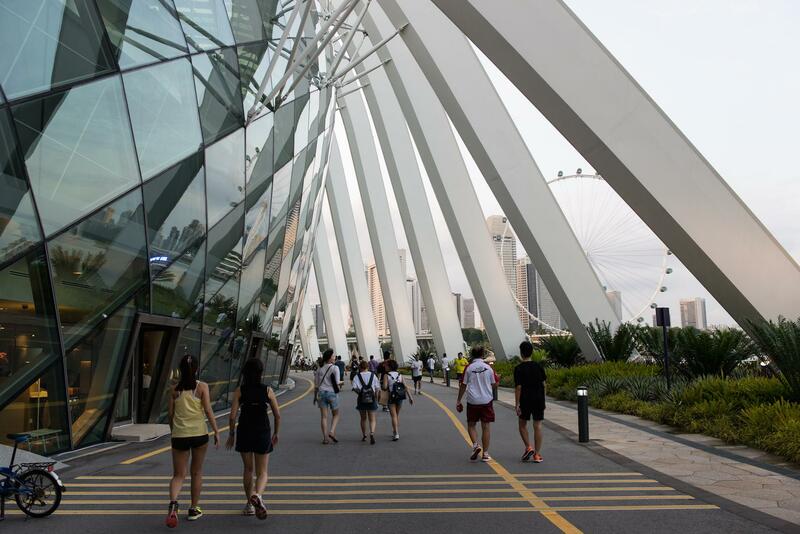 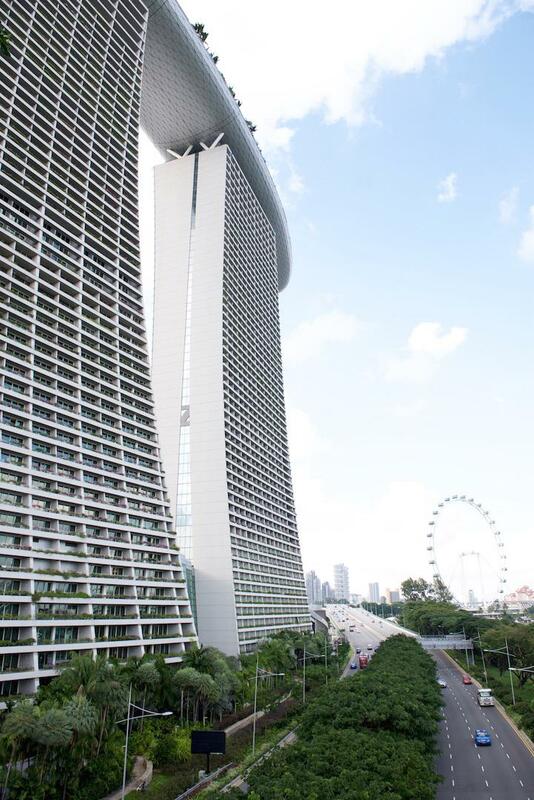 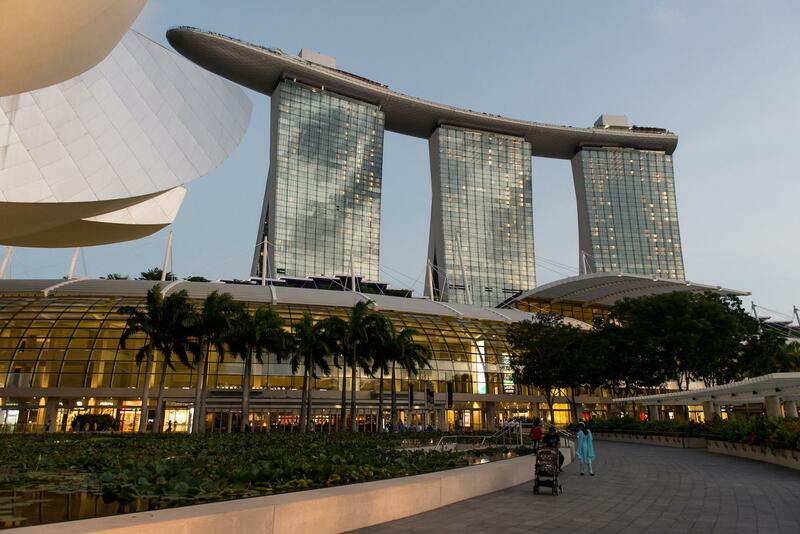 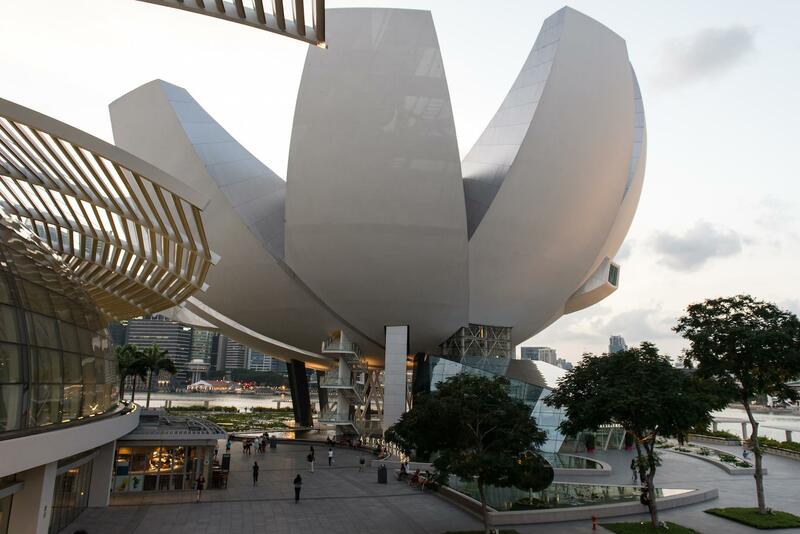 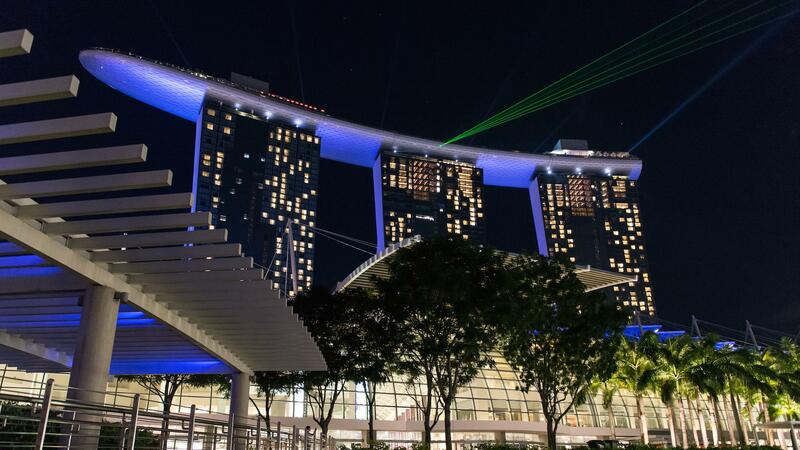 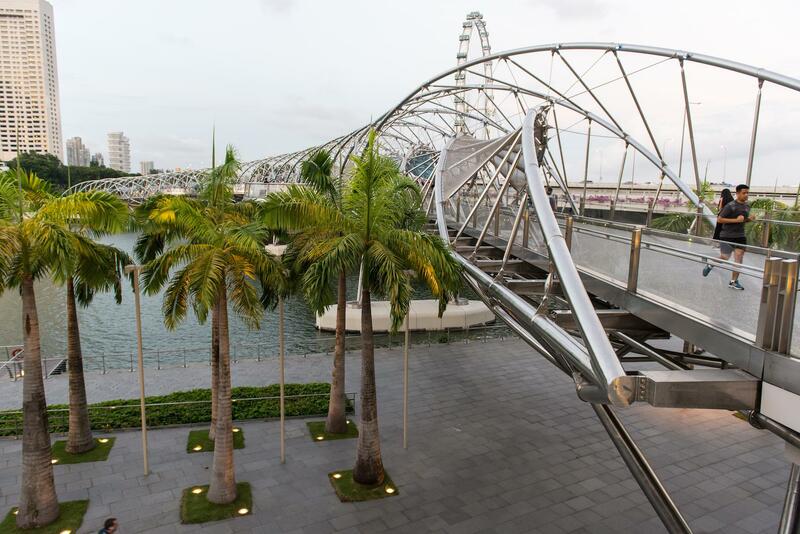 One option that we considered was visiting the Sky Park Observation Deck at Marina Bay Sands, but instead decided to have a nice evening stroll around the Gardens by the Bay and on riverfront promenade overlooking the huge skyscrapers. 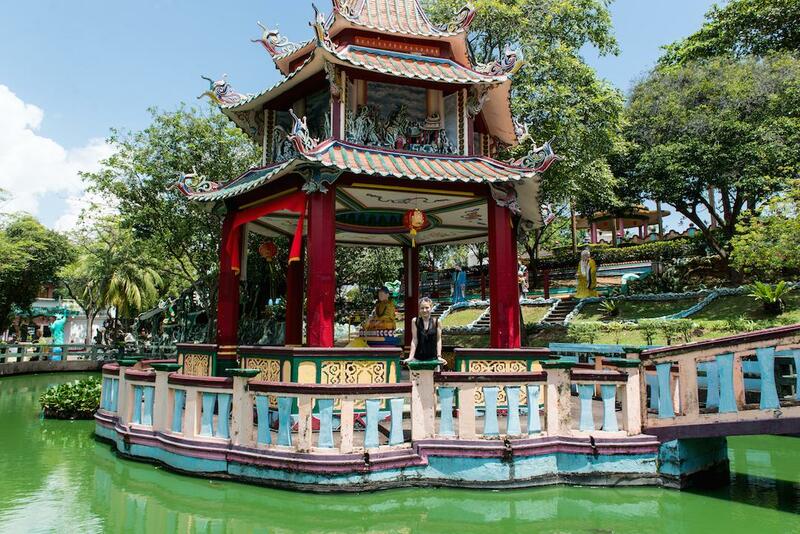 First thing in the morning we decided to go to a little bit different theme park called Haw Par Villa. 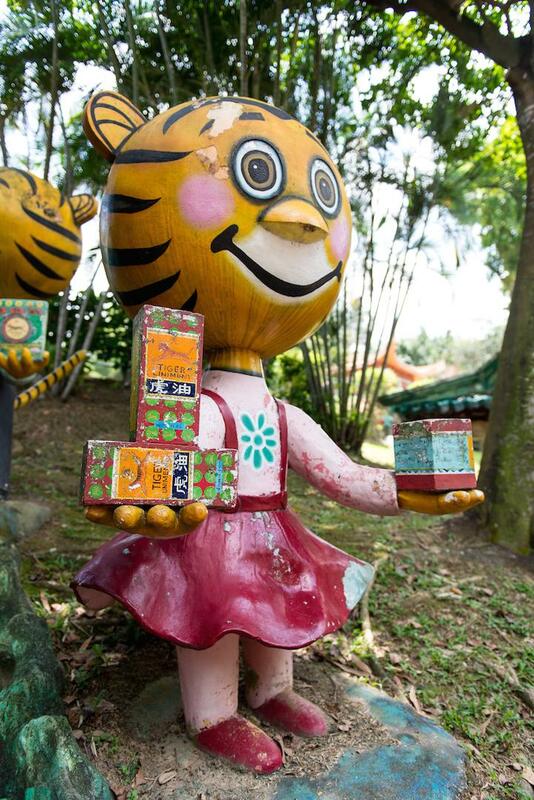 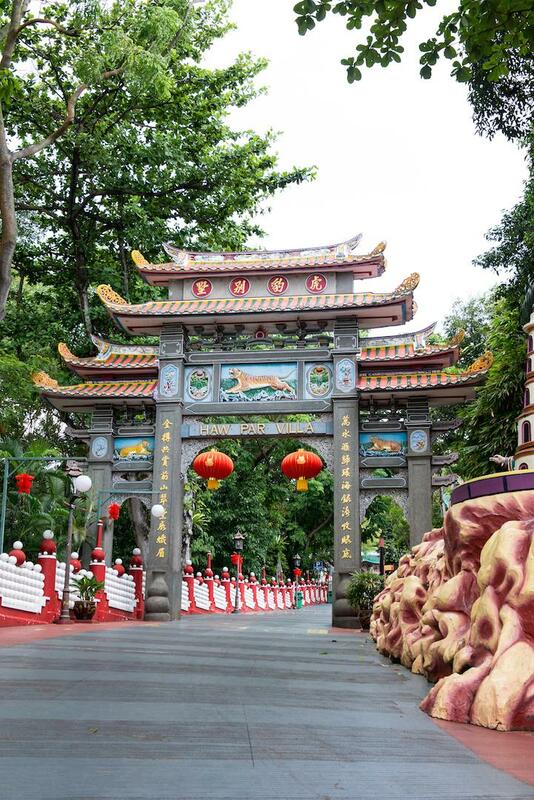 Haw Par Villa was founded by the makers of tiger balm and was originally called Tiger Balm Garden. 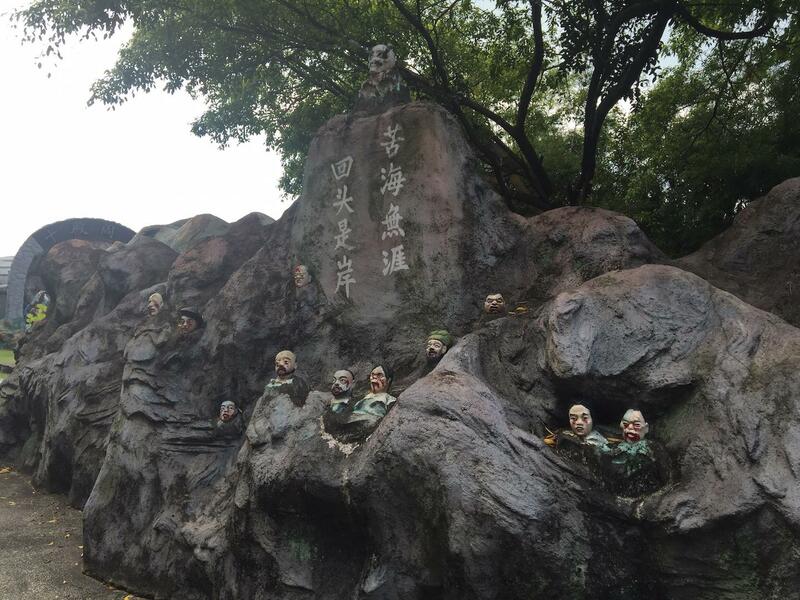 A little bit creepy and bizarre place depicts Chinese mythology and legends. 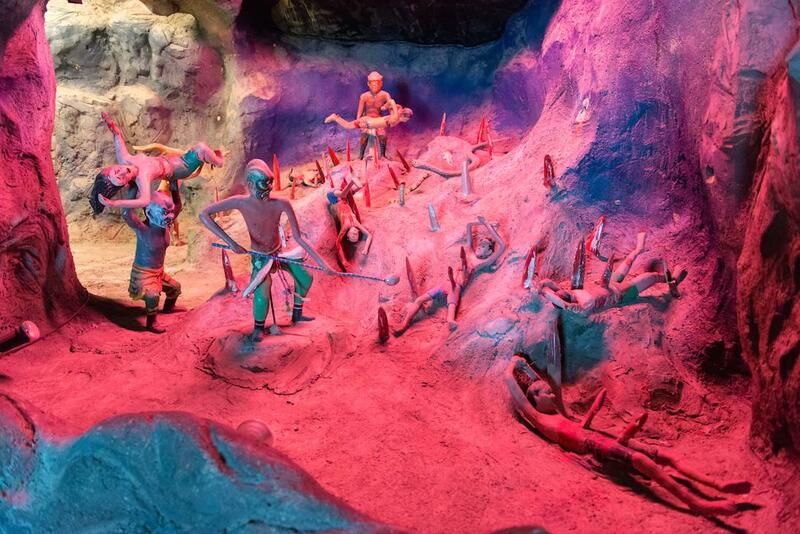 The most famous attraction is definitely Ten Courts of Hell where punishments for sins are graphically displayed. 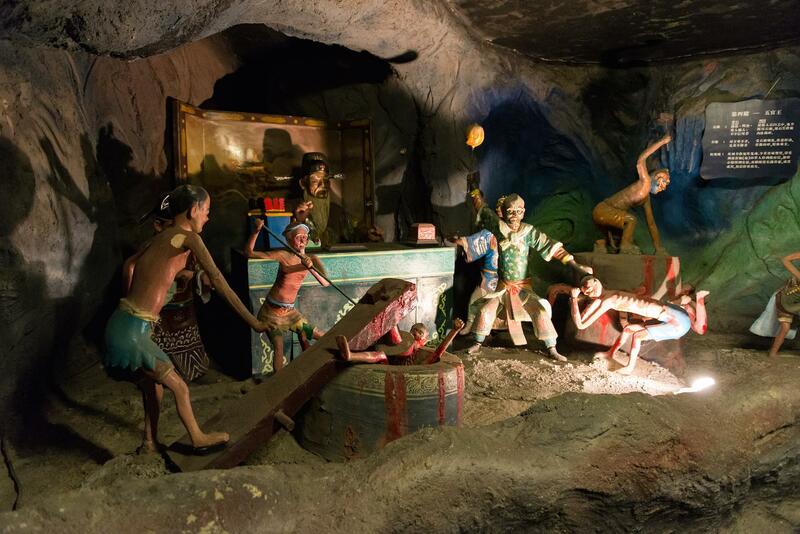 However, not all scenes are so gruesome, so don’t worry, it’s actually a really interesting place. 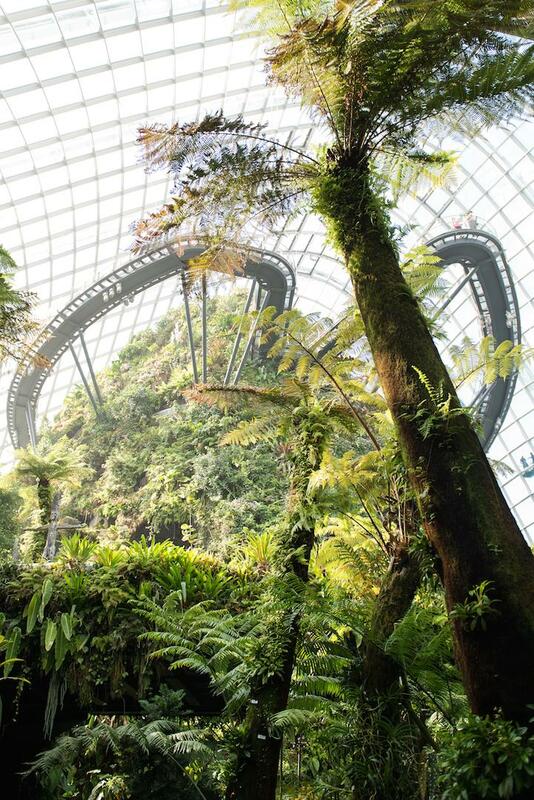 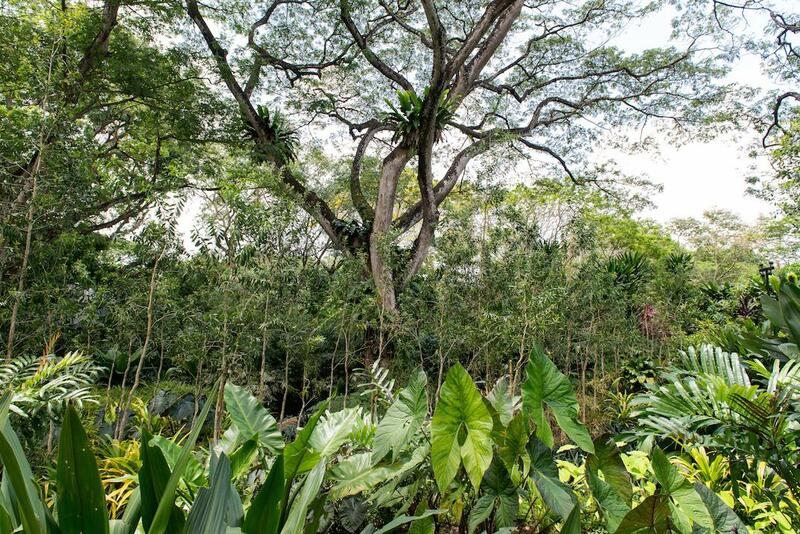 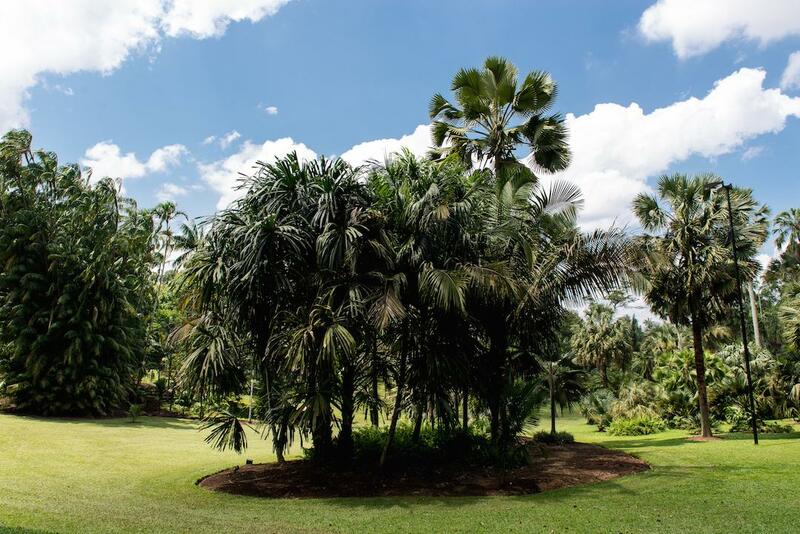 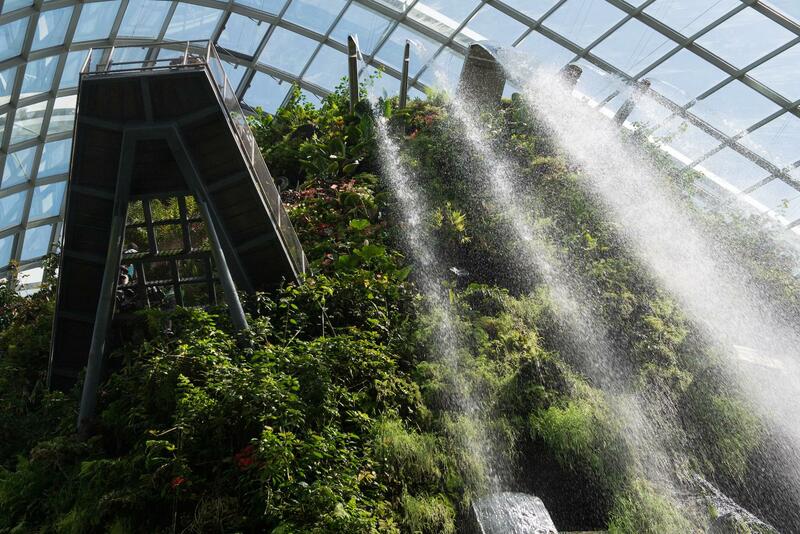 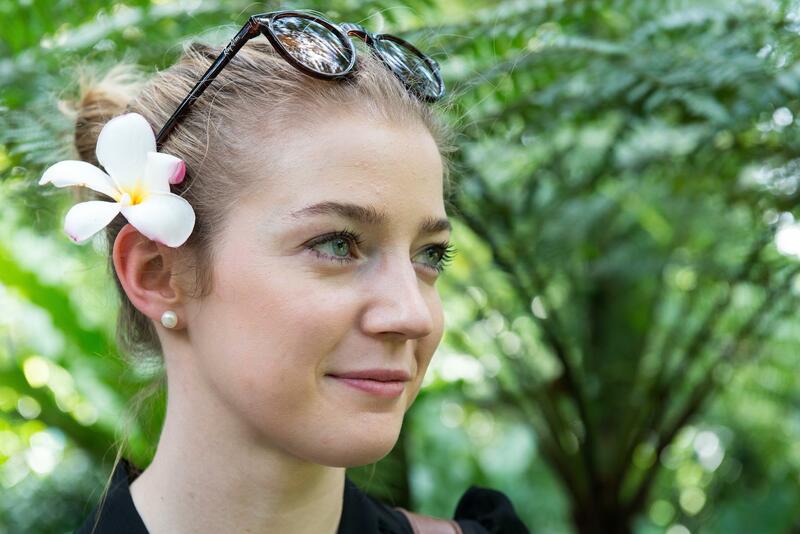 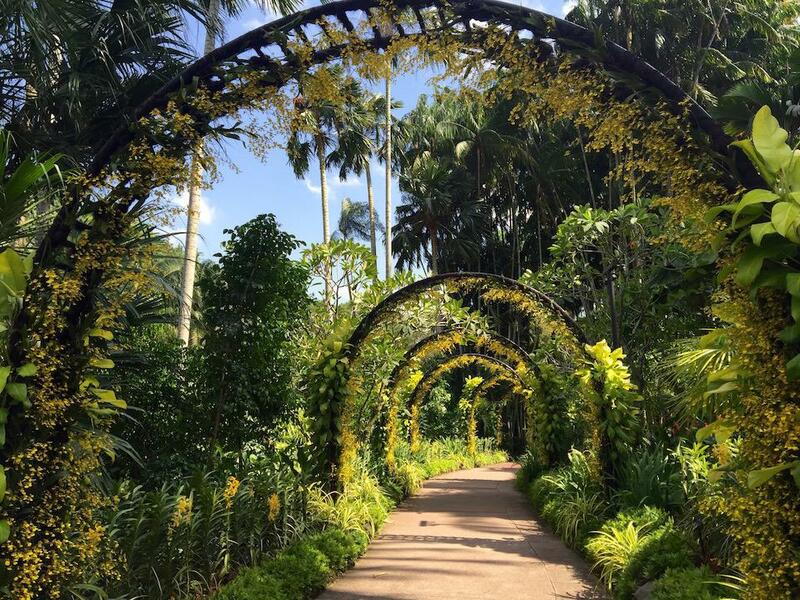 Next on our list were the botanical gardens, which are a wonderful place to get lost for a whole day. 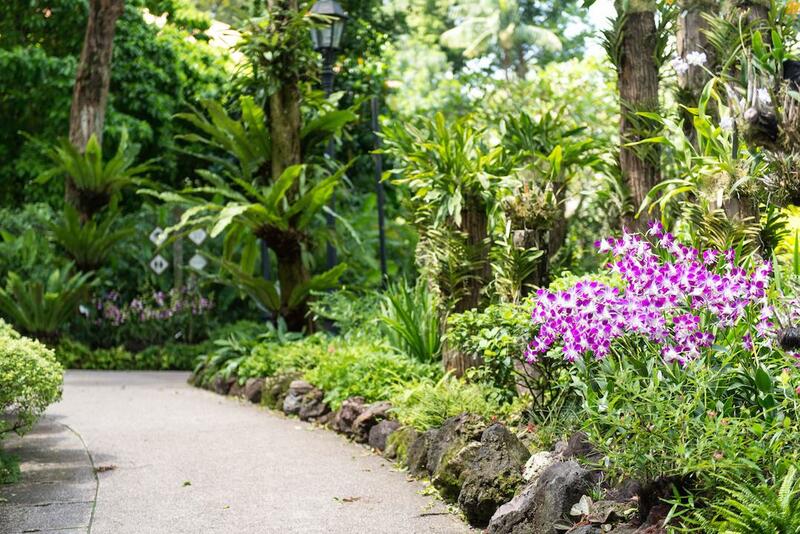 A special part of the gardens are Orchid gardens dedicated completely to all different kinds of beautiful orchids. 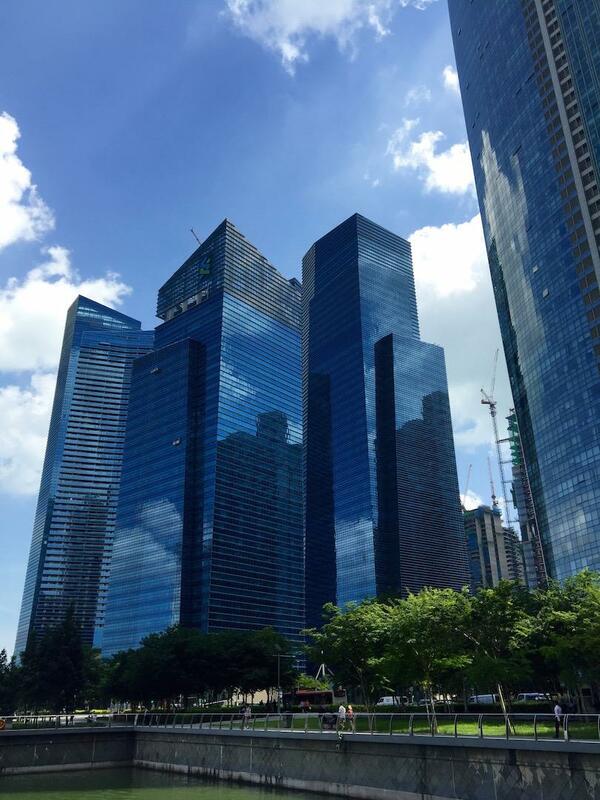 In the late afternoon we swapped the peaceful gardens for concrete jungle full of skyscrapers. 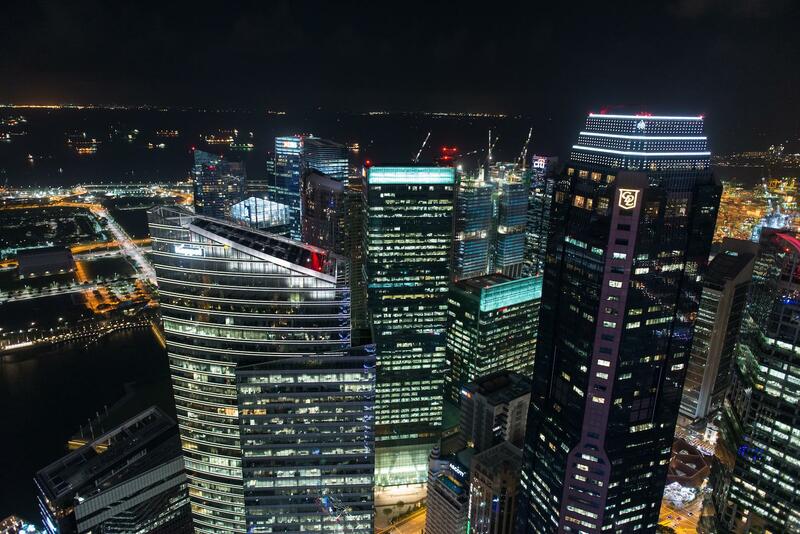 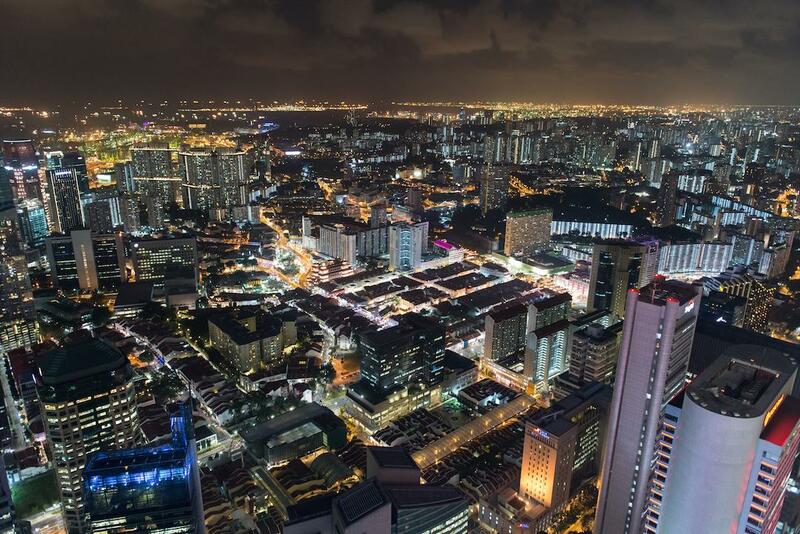 For our evening drinks we chose the highest rooftop bar in Singapore, 1-Altitude. 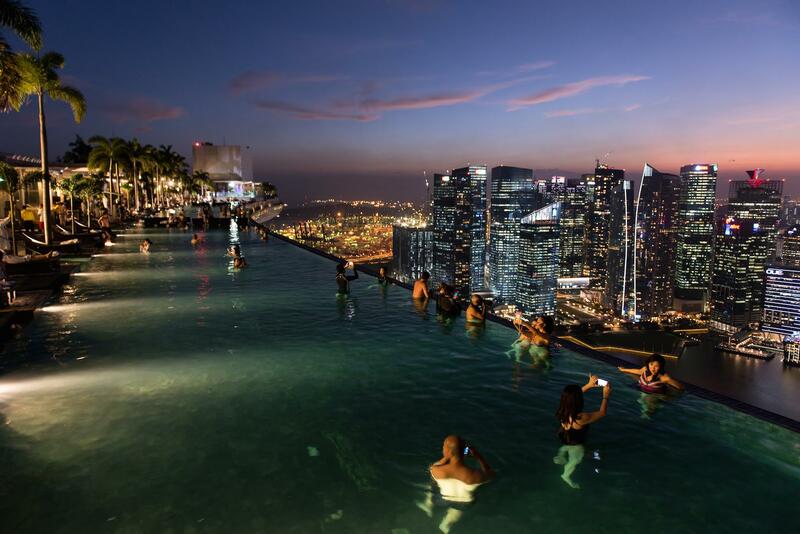 It was also supposed to be number one rooftop bar, but we were a little bit disappointed. 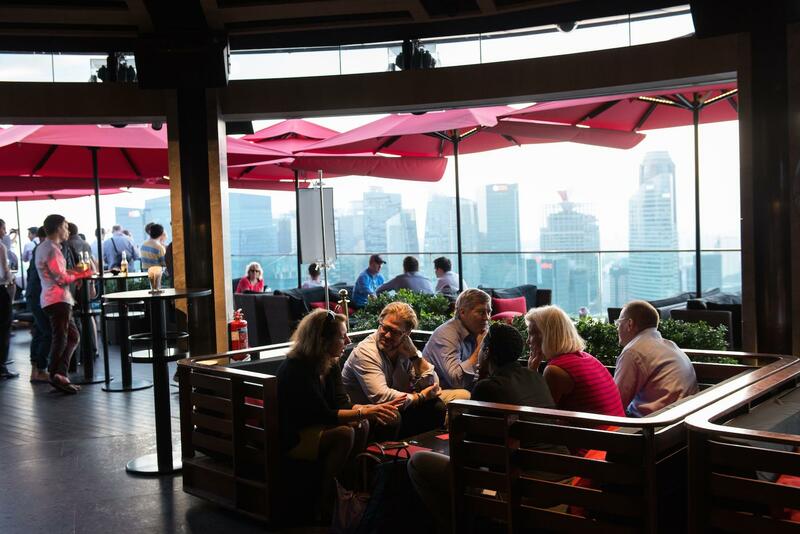 The entrance is 30$, which is a lot, but you do get a free drink with it. 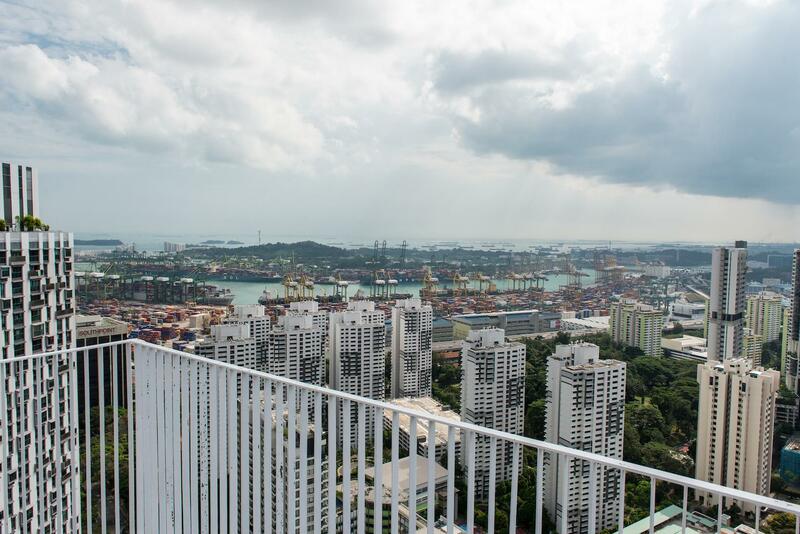 Nevertheless, the views were amazing and Marina Bays Sands looked so tiny from one of the tallest skyscrapers in Singapore. 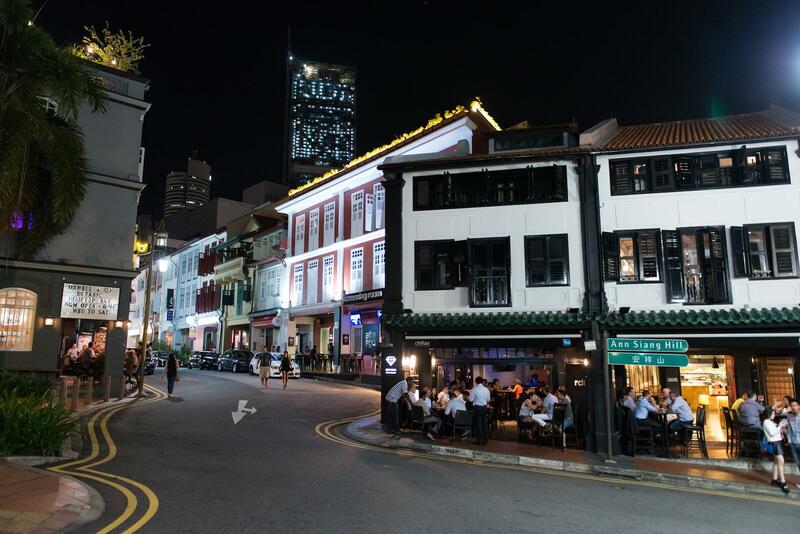 After that we headed to Clark and Boat quay which are lively night areas along the Singapore river full of restaurants, bars and clubs.